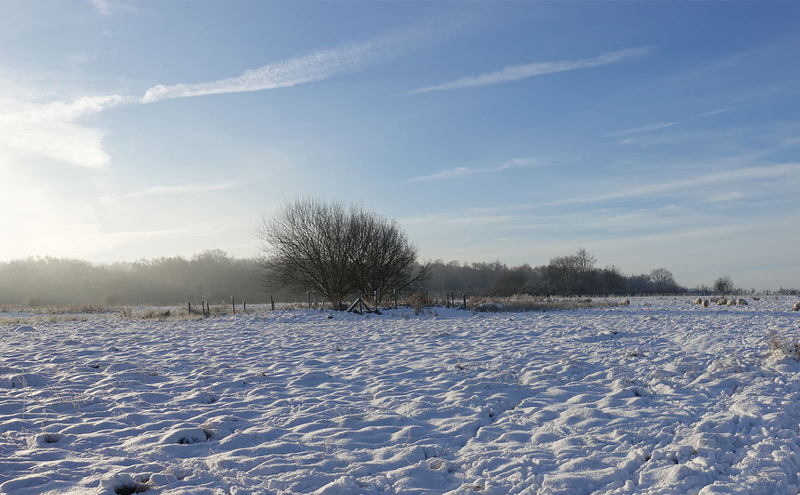 The Ryton Wood Meadows Butterfly Reserve is a 12.4 hectare 30 acre reserve is an old sand and gravel pit that had been used for landfill and capped with clay and topsoil. 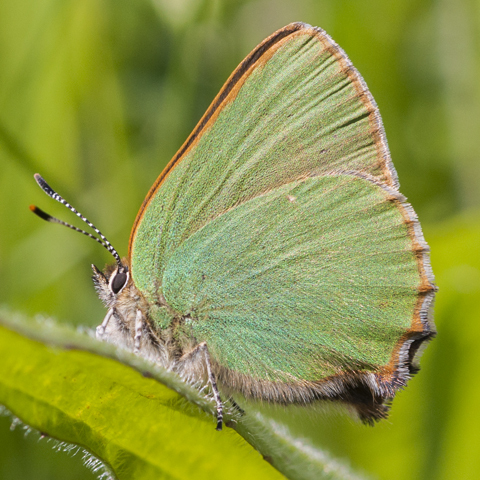 The developing grassland managed by Butterfly Conservation Warwickshire now supports breeding populations of 33 different butterfly species, including Grizzled Skipper, Dingy Skipper, Green Hairstreak and Brown Argus. 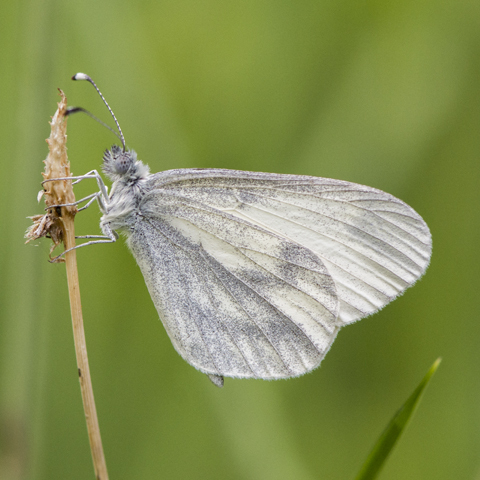 Butterfly Conservation Warwickshire has agreed a 25 year lease for most of the site from the owners LaFarge, with a small part near the country park under a management only agreement. 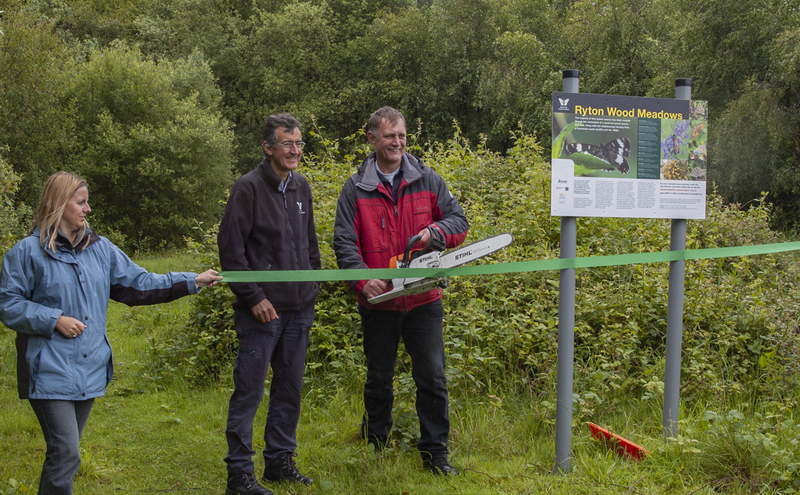 The Reserve was officially opened on the 28th May 2007 by Dr Martin Warren, Chief Executive of Butterfly Conservation and Mike Slater (Reserve Manager for Butterfly Conservation Warwickshire). 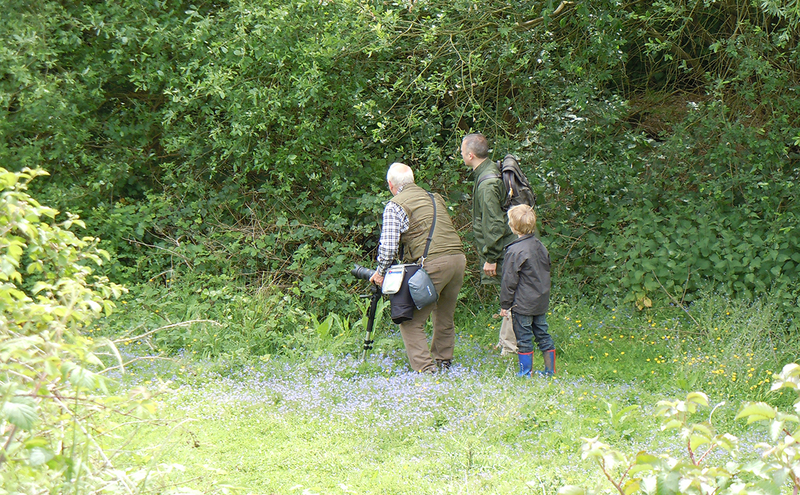 The event was kindly supported by Barclays Bank and marked the 10th Anniversary of the Warwickshire Branch of Butterfly Conservation. 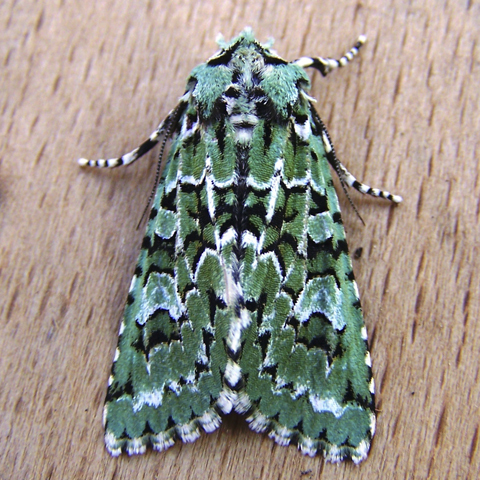 and managed by Butterfly Conservation Warwickshire and a team of volunteers. In the 1960’s an area to the South East of the Leamington Road, Ryton was brought by Steetley Aggregates. The site included approximately 150 acres of farmland and approximately 100 acres of Ryton Wood. During the 1960’s to the early 1990’s the area was mined for sand and gravel resulting in the loss of between 40 to 60 acres of Ryton Wood. From the late 1980’s through the 1990’s, the process of restoring the site commenced. The north east of the site was restored with inert building waste. The rest of the site was in-filled with household rubbish and then capped with sub-soil. 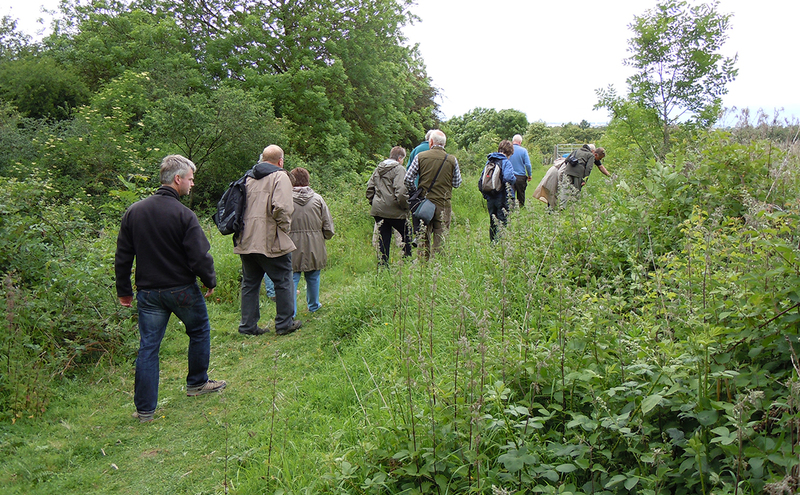 The area where the building waste was dumped during the late 1980’s became colonised by a forest of Buddleia bushes. This became a great place to watch butterflies in the late summer especially for migrant species. During the tidying up process the site was bulldozed and levelled in the winter of 1990/91. As a result, all the Buddleia bushes were lost. In 1995 the site was finally closed as a landfill site although further restoration works still had to take place. Site ownership changed twice first from Steetley Aggregates to Redland and then to LaFarge. 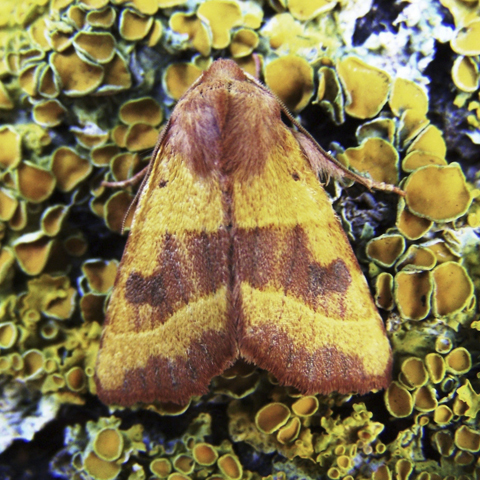 Throughout this time, all three companies allowed a full butterfly and day-flying moth transect survey to take place starting in 1990 and conducted by Mike Slater. 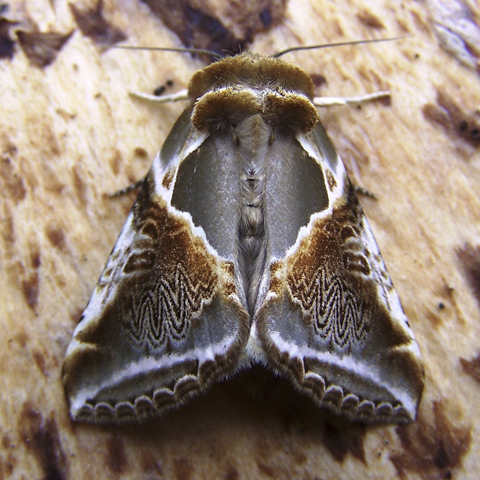 This allowed Mike to fully assess the site importance for butterflies and moths. Once the site's importance was realised the owners were notified. Thanks to this liaison, suggestions were made to Redland on how the site should be restored. It was also suggested that the site should be sown with a wild flower seed mix and Mike managed to specify the type of wild flower seed mix to be used. Approximately half the site has been sown with a wild flower seed mix in two areas. A further quarter of the site had been colonised naturally and the last quarter of the site was left fallow. 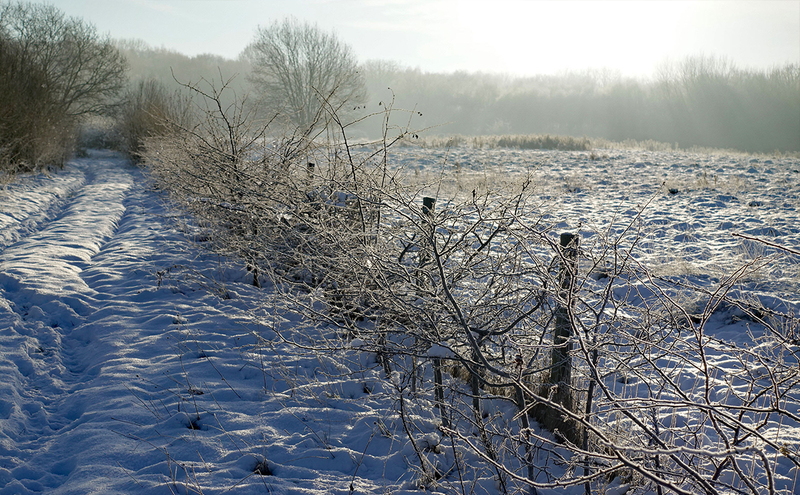 The boundary between Ryton Country Park has also been planted with a native hedgerow mix. In 2000 and 2001 minor management work was commenced by cutting a series of paths through the North East of the site. 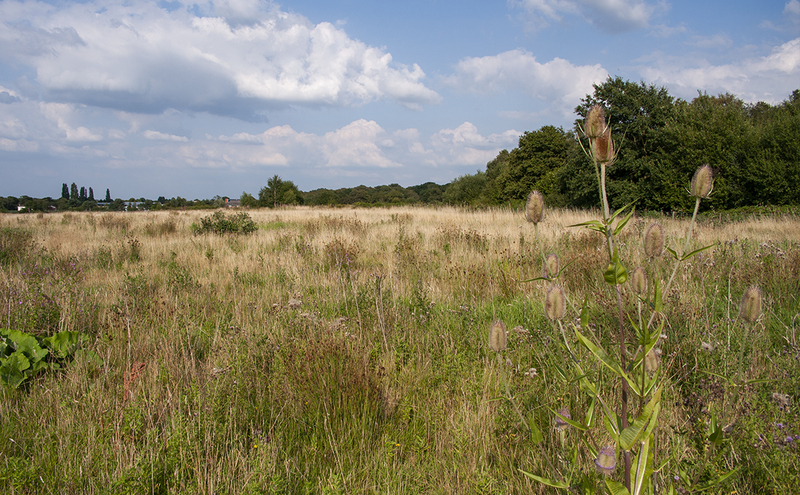 In 2003 more extensive mowing and raking of areas was started to prepare the site to become a nature reserve. The reserve has since seen some major developments. 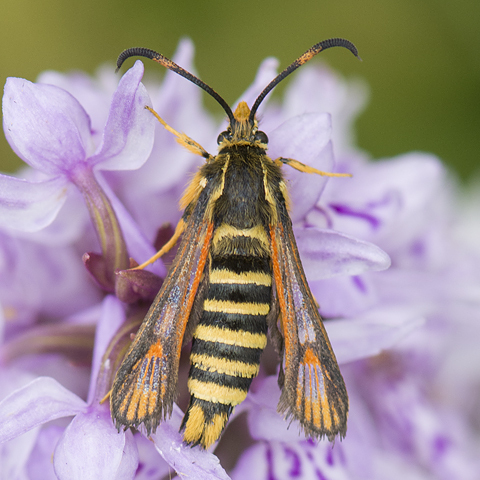 It has now been fenced in order to create a series of paddocks where Longhorn Cattle and Sheep graze creating the perfect habitat for grassland butterflies and is now a haven for other wildlife including breeding cuckoo and other bird species. 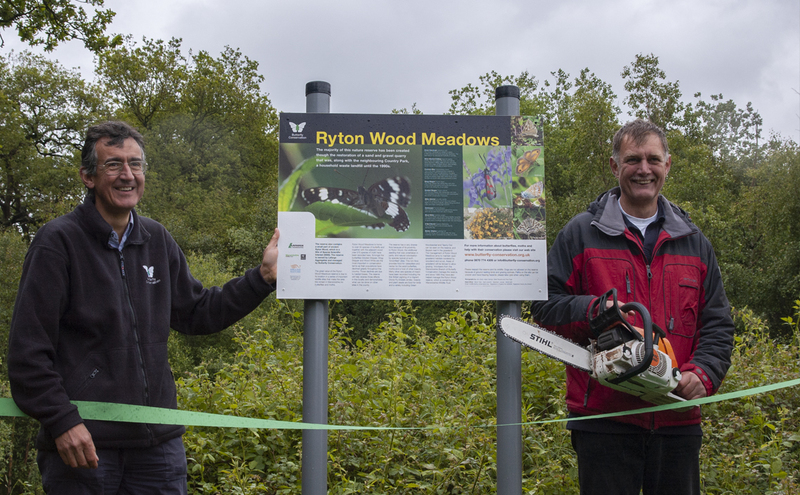 Ryton Wood Meadows Butterfly Reserve was officially opened on the 28th May 2007 by Dr Martin Warren, Chief Executive of Butterfly Conservation and Mike Slater, Reserve Manager. Access to the butterfly reserve is for Butterfly Conservation members only who are welcome to visit at any time. However, the reserve car park and access gates from Ryton Wood are padlocked to protect the site and its wildlife. Members of the Warwickshire Branch are provided with padlock codes when they join the branch. 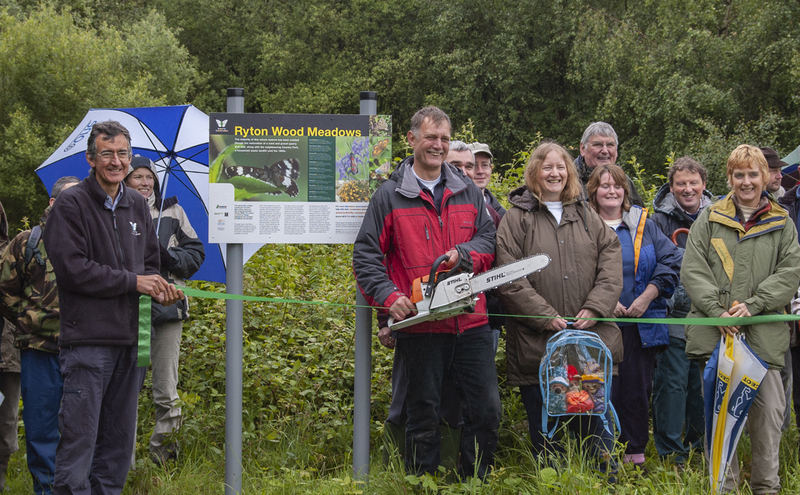 Please contact Mike Slater for more information about access to Ryton Wood Meadows butterfly reserve. The reserve lies on the southern side of the A445 between Bubbenhall and Ryton-on-Dunsmore just south of Coventry. It is bordered to the west by Ryton Pool Country Park and to the south and east by Ryton Wood SSSI. The gated entrance to the reserve can be found on the A445 opposite Featherstone Farm between the entrance to Warwickshire Police College and Ryton Pools Country Park. The 538 bus service (Monday to Saturday) between Leamington Spa and Coventry runs along the A445 past the Ryton Pool Country Park entrance. When visiting the reserve, please observe all signs and close all gates as livestock may be grazing the site. No dogs are allowed on the nature reserve. Take nothing but photographs (and memories), leave nothing but footprints (and the gates shut). We hope you enjoy your visit. In an attempt to enhance breeding habitat for the Grizzled Skipper here at Ryton Wood Meadows Reserve, a low dry-stone wall was laid to create egg-laying habitat in a herb-rich grassland. During subsequent egg searches, it became apparent that the butterflies preferred to lay eggs on the leaves of Creeping Cinquefoil (Potentilla reptans) which were growing over stones in the wall. The relatively high egg density found one year after the wall construction suggests that this habitat is now more suitable than a nearby, traditionally used, coppice ditch habitat. Creation of a dry-stone wall to create egg laying habitat for Grizzled Skipper (Pyrgus malvae) at Ryton Wood Meadows Butterfly Conservation Reserve, Warwickshire, England by Mike Slater. Published in Conservation Evidence (2007) 4, 35–40. 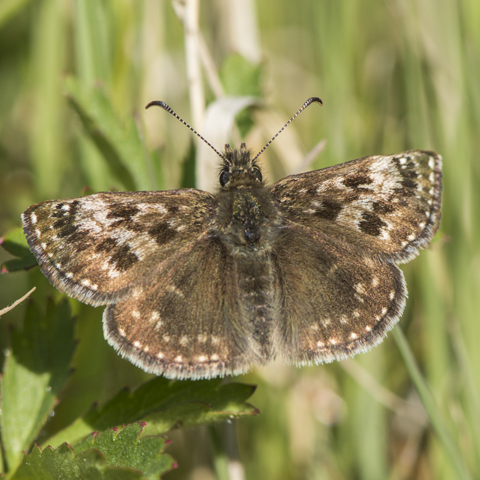 Following this success, another project aimed to improve habitat for the Dingy Skipper. 1358 pieces of broken slabs have been placed in a Birds-foot Trefoil rich meadow to create abundant egg laying sites for the Dingy Skipper. 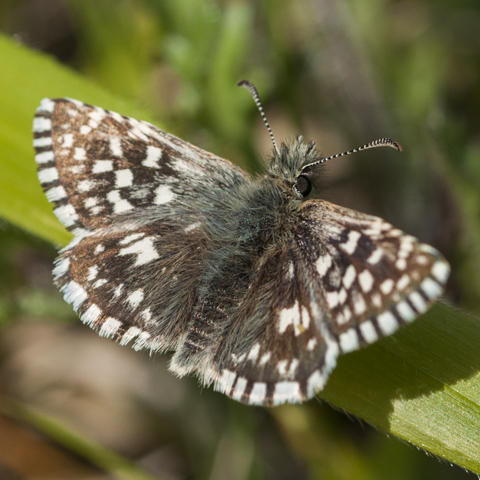 Dingy Skipper - Ova Deposition Report 2008 by Mike Slater.